In the mood for Chocolate? 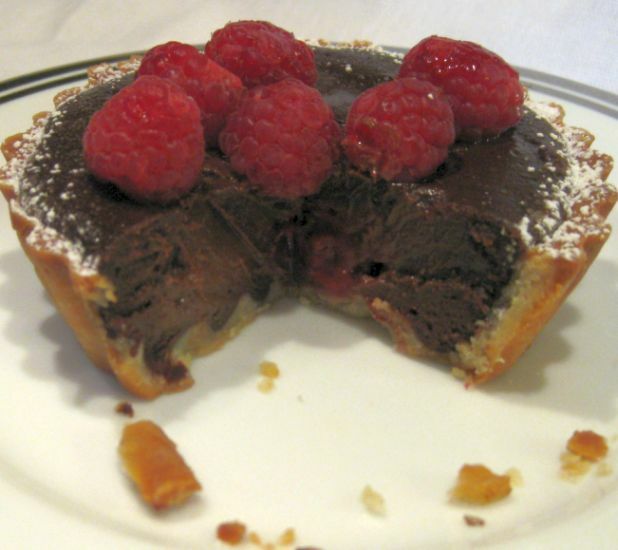 Try this chocolate and raspberry tartlet! The filling is warm, soft, rich, silken and smooth. 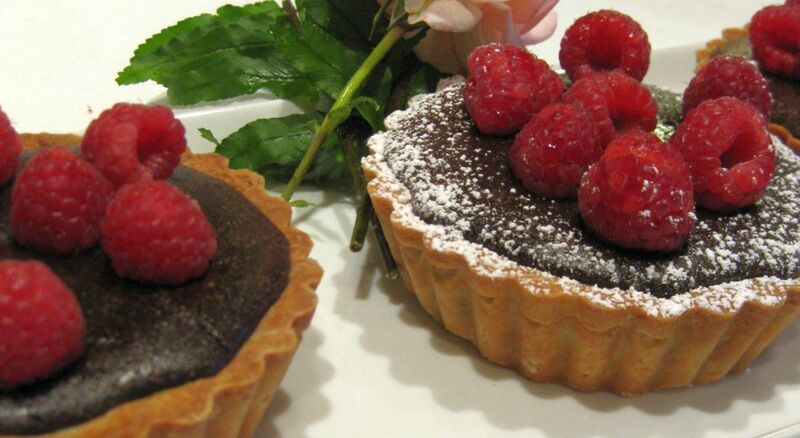 These tartlets beautifully pairs two classic partners: chocolate and raspberries making it a very fetching dessert. 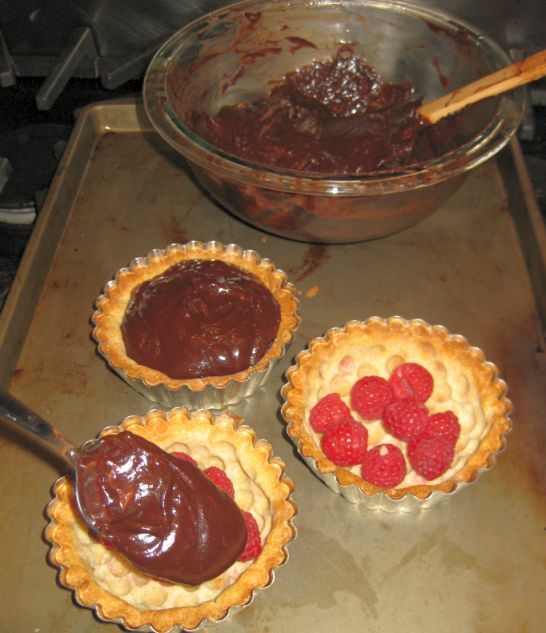 Raspberries and chocolate make a special blend. It is one of my favorite flavor combinations. Although this dessert takes a little to prepare, it is luscious and beautiful to present at a dinner party. 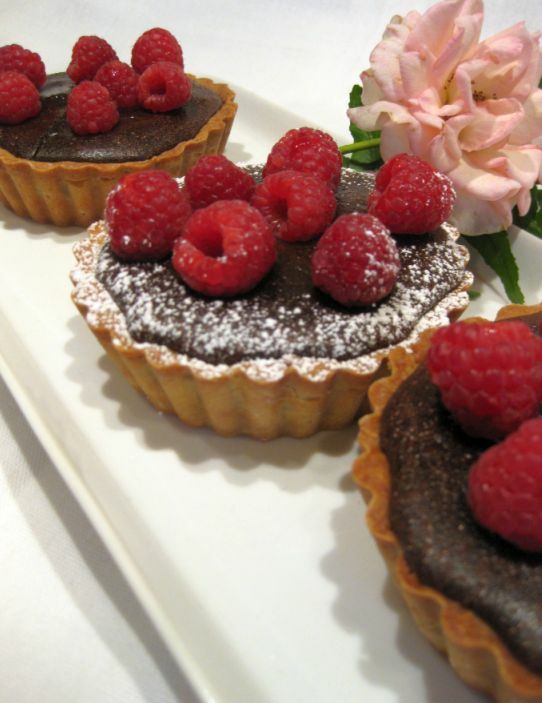 If you change the mold into heart shape then these tartlets would be perfect to serve for Valentine. 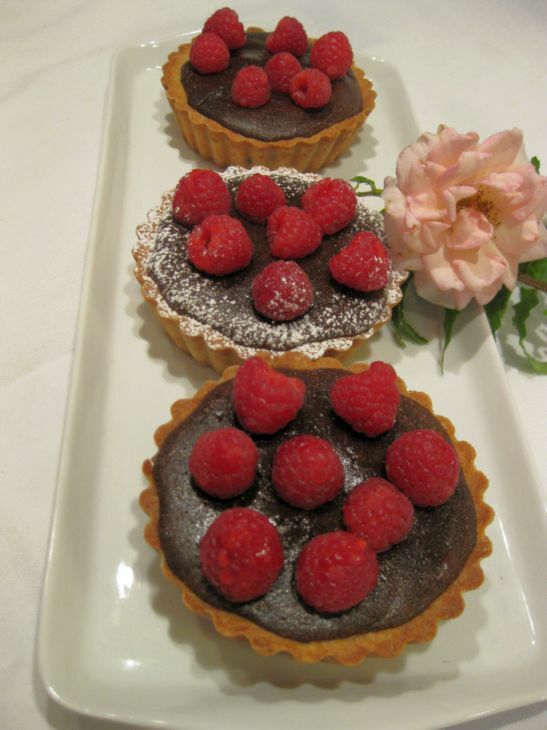 The tartlets looks so luscious and so tempting! 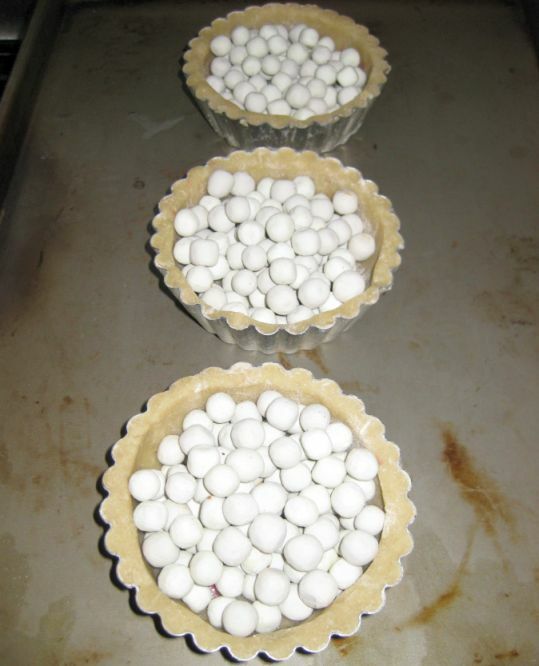 A bit of sugar powder is optional but I think it makes the tartlets looks more festive. Close look at the tart! 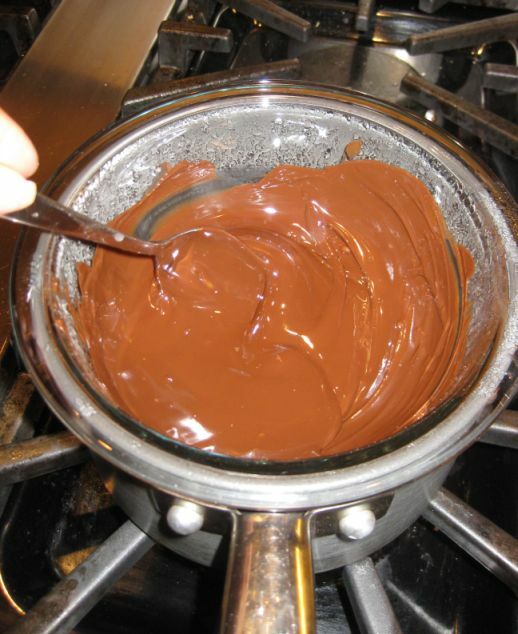 Keep stirring until all the chocolate is melted. 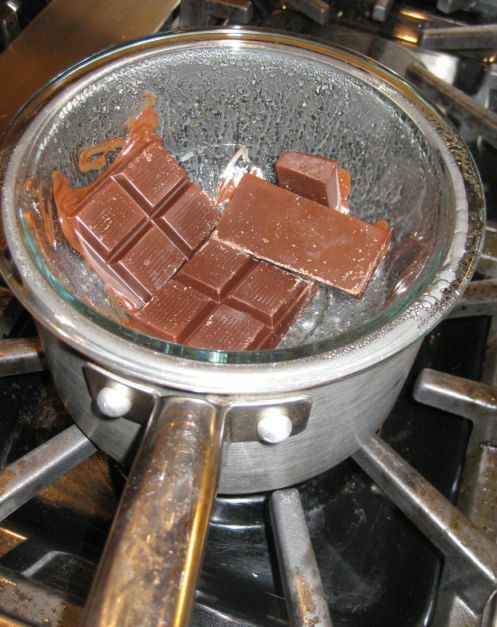 Remove the bowl from the pan and let it cool until the chocolate feel only just warm to the touch (104 F. degree). 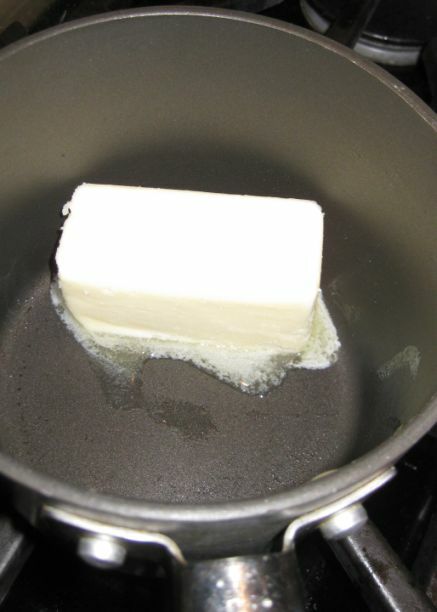 In a separate pan melt the butter. 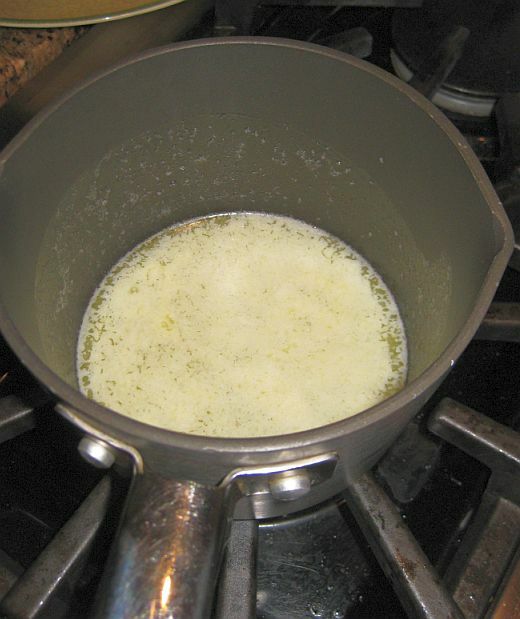 Keep the heat low and once the butter is melted pour it in a bowl and let it cool down to barely warm at the touch. 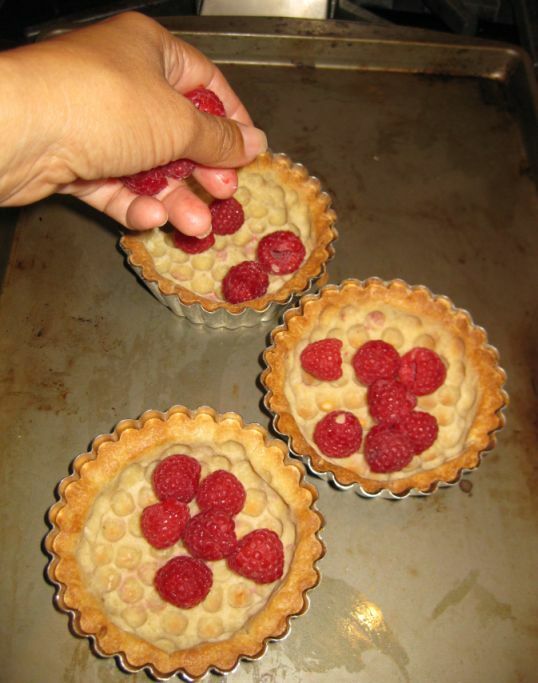 Remove from the oven and put a bunch of fresh raspberries in the bottom of the tart. by now the chocolate should be barely warm. 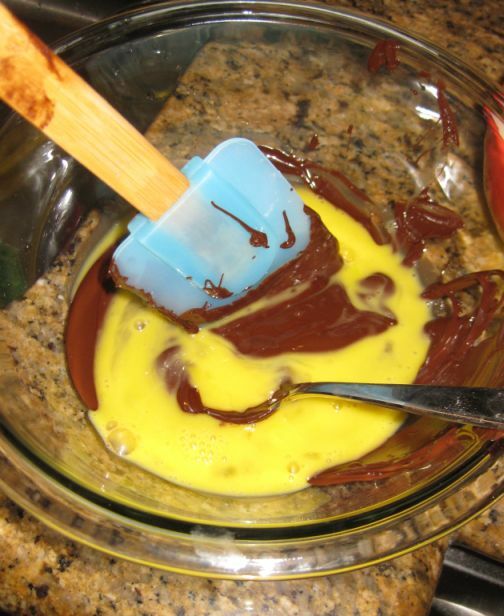 Stir in the egg with a rubber spatula. 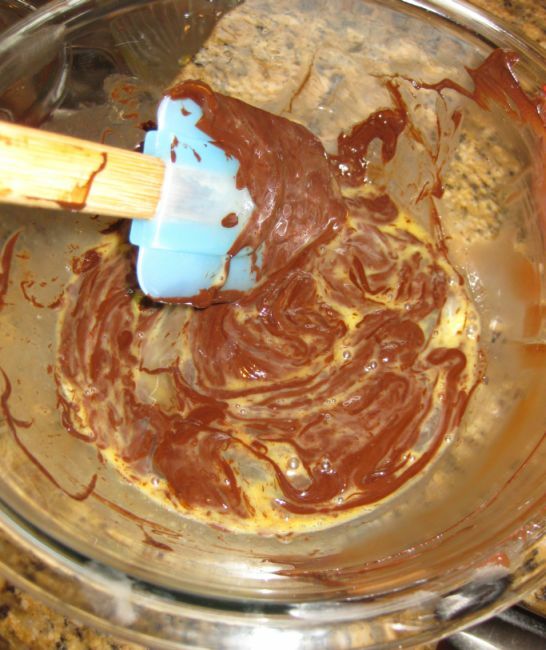 Stir gently in ever widening circles and taking care not to agitate the mixture. 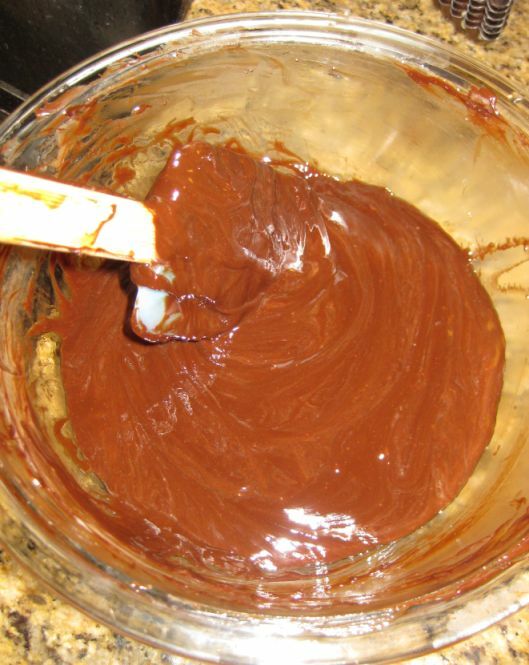 You do not want to beat air into the ganache. Little by little, stir in the egg yolks and sugar. Working gently. Stir in the melted butter (should be barely warm at the touch at this time). 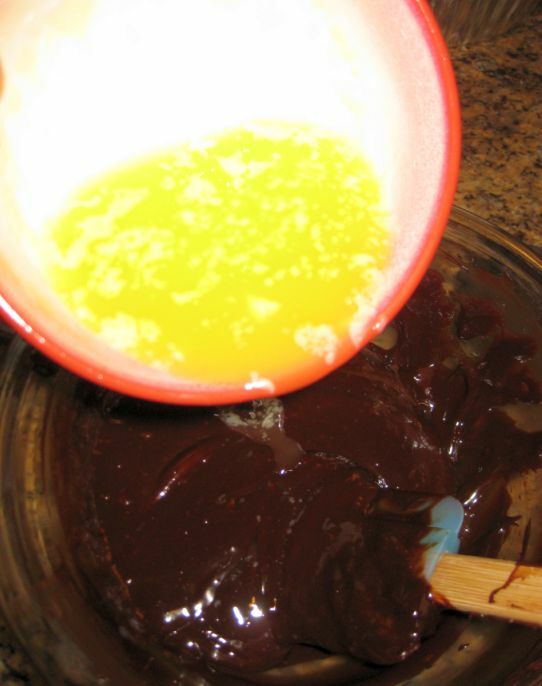 Keep stirring until all the butter is well incorporated and the batter is shiny. 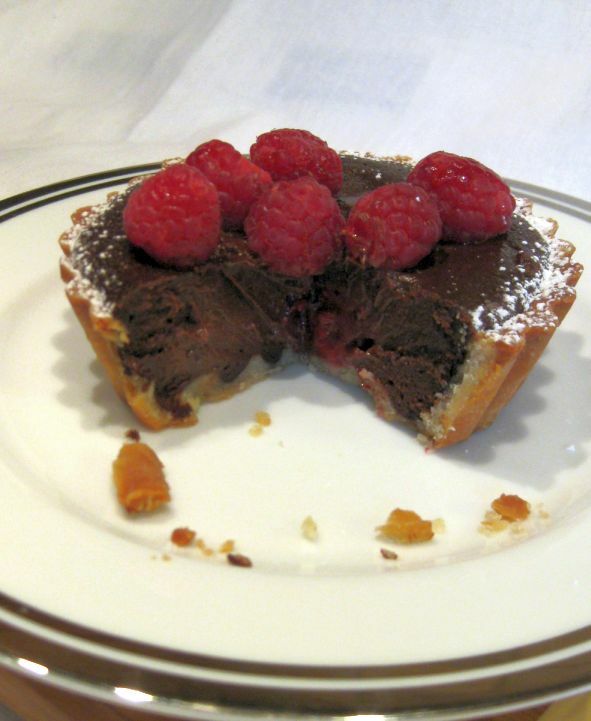 Scoop the batter inside the tart shell. Preheat the oven at 375 Degree. 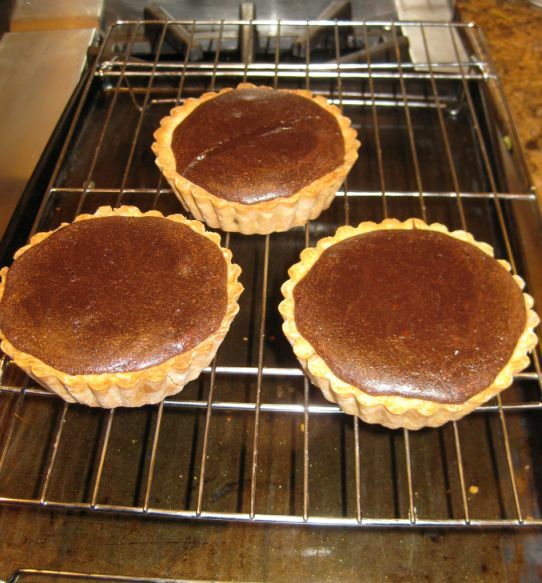 Bake the tart for 11 minutes. That should be enough time to turn the top of the tart dull, like the top of a cake. 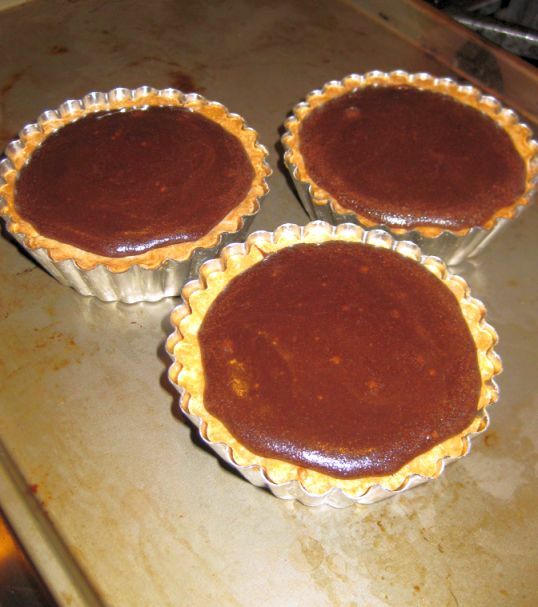 The center of the tart will be shimmy if jiggled. That's just what it's supposed to do. 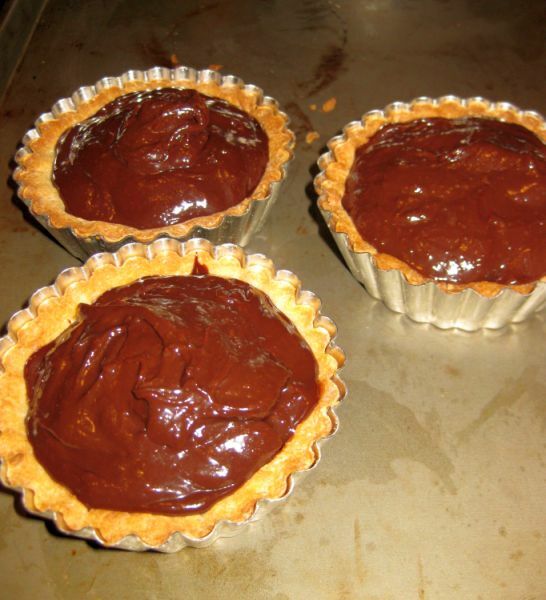 Remove the molds and let the tart cool off.